What is Herbioticum Omega 3? 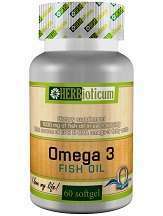 Omega 3 Fish Oil by Herbioticum is one of our top picks in dietary omega 3 supplements for its low price and high quality. Herbioticum provides fantastic omega 3 health benefits. It contains EPA, DPA and DHA. It comes in softgel form which should be taken only once a day, great news for people who do not like taking pills. It does not come with a satisfaction guarantee. This product contains fish oil, gelatin, glycerol and purified water. This fish oil is 1000mg standardized with 180 mg of EPA, 30 mg DPA and 120 mg of DHA. 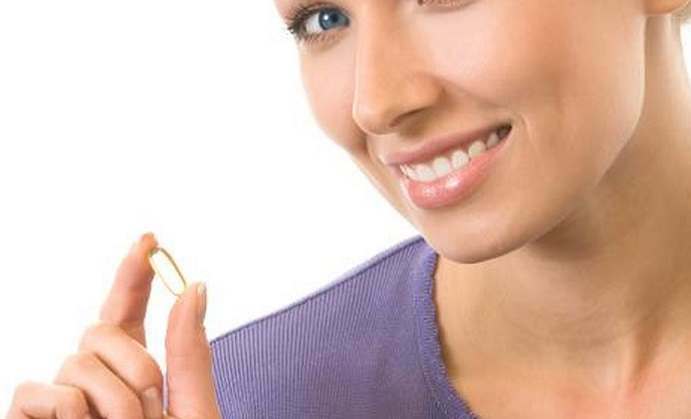 Omega 3 Fish Oil comes in a softgel form containing 1000mg of fish oil. These softgels should be taken once a day at mid-day along with a meal. One bottle contains sixty capsules and is priced at $7.20. Unfortunately, no other deals or discounts are offered for purchasing the product multiple times. Despite this, the price is pretty good, when compared to other Omega 3 products currently on the market. Consult a doctor before using this supplement if you are pregnant, nursing, or suffering from a previous medical condition. As with most Omega 3 products, the fish oil used in this one causes bad breath and may taste very fishy. The recommended dose should not be exceeded as problems may arise, due to the product’s high dosage of omega 3. The manufacturer fails to offer any money back guarantee for customers that feel dissatisfied with their purchase, this is unfortunate. To make matters worse there is a complete lack of customer reviews, after much research, we found absolutely none. This removes a lot of credibility from the product as no customers have come forward to confirm its functionality, and the manufacturer fails to assure customers their product yields good results. This product stands out from other omega 3 dietary supplements currently on the market due to its low price and high dosage of fish oil. The problem is that the 1000 mg is still lower than the recommended 1500 mg daily intake and the potency is standardized well below the recommended 800 EPA and 600 DHA. So, although customers will take fewer capsules daily and one bottle will last two full months at an even lower price than other omega 3 products, we are not certain Herbioticum is the way to go if you want pure, high-potency ingredients. Lastly, the product fails to offer any money back guarantee for unhappy customers, which is something to consider when the product offers a weaker potency than other similar products on the market. We also could not find any online feedback from customers.